Voice is a term used in phonetics and phonology to characterize speech sounds (usually consonants). It is also called "'voicing."' Speech sounds can be described as either voiceless (also called unvoiced) or voiced. 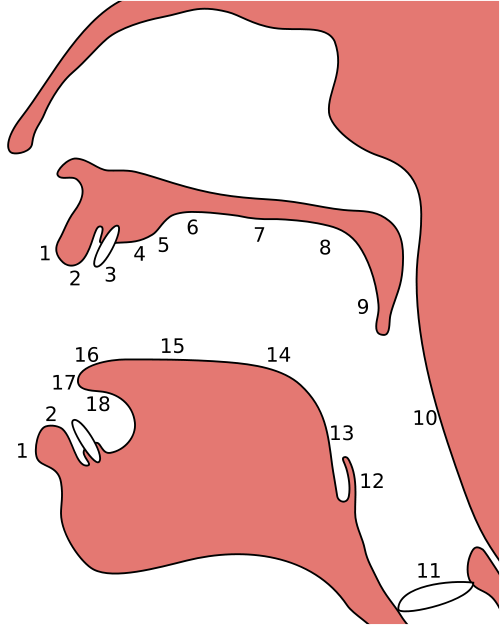 The term, however, is used to refer to two separate concepts:Voicing can refer to the articulatory process in which the vocal folds vibrate, its primary use in phonetics to describe phones, which are particular speech sounds. It can also refer to a classification of speech sounds that tend to be associated with vocal cord vibration but may not actually be voiced at the articulatory level. That is the term's primary use in phonology: to describe phonemes; while in phonetics its primary use is to describe phones.At the articulatory level, a voiced sound is one in which the vocal folds vibrate, and a voiceless sound is one in which they do not. For example, voicing accounts for the difference between the pair of sounds associated with the English letters "s" and "z"